Confronted by search results from Google or other providers, readers must make a number of decisions. As important, they must do so quickly if they are to succeed in reading anything meaningful in a reasonable time frame. Identifying appropriate online material is not as easy as it sounds; it involves much more than simply choosing some search terms. Effective readers of online content try search terms, survey the results, refine search terms as necessary, skim some pages, and read other pages in depth. Equally important: This process continues as readers encounter ideas and links to other sources; in short, the process does not proceed step-by-step. Effective practice: Teachers assist readers to set a purpose for reading online sources, evaluate the sources they find, and challenge themselves to read increasingly complex materials online. They model these behaviors, often using a data projector or interactive whiteboard. Example: Stephanie, a fourth-grade student, looked for information about “California missions,” but most of what she found using just those two words in her search was very broad, and repeated the same information. She had visited the mission at San Luis Rey, and she knew it was not far from the famous San Juan Capistrano mission. Many of the sites in her search results included information about nearby hotels and restaurants which she knew would not help her learn more about the network of missions along the California coastline. She knew she needed a web source that went into more detail than what she was finding, and she was sure the information was online somewhere. But, where was it? Mrs. Wilkinson, the fourth-grade teacher, had seen students struggle with finding just the right search terms. She had learned that students often got stuck and couldn’t get out of the mire of many search results but little useful information. On her class webpage, she had linked some fourth-grade friendly resources. When she saw Stephanie’s face scrunch up after another click to another website that wasn’t helpful, she walked over and watched for a minute. “Ah, it’s no fun to search and search and come up with so little. That happens to me, too. I remember when we were at the mission, you wondered why San Luis Rey was built so close to the ones in San Diego and Capistrano. Is that what you’re trying to find out?” Mrs. Wilkinson probed. Do you remember the class webpage we created with ideas to use when we get stuck? Why don’t you open a new browser window, so you don’t lose your place, and take a look at that link? It might have a model you can use. How well does it seem this information match my purpose for reading? How much do I already know about what I am seeing on the page? Do most of the words look familiar? If not, are there links to definitions or examples that can help me? Are there tools, such as Twurdy [learn more about Twurdy on this blog here and here], that can assist me in knowing how difficult this page will be to read? When I read this page, do I feel like I am challenged to learn new information as I read, or do I just feel overwhelmed? Reading for specific purposes that promote content learning as well as increasing proficiency with text means that readers in digital environments must attend to features that differ from traditional paper-based texts. Readers must understand the fundamental differences of reading electronic texts from those in the paper-based environment, and they must be able to regulate comprehension processes in ways that recognize these differences. Some differences are evident in the layouts designed to work well on a computer monitor or screen versus those that are designed for paper-based environments. A quick experiment will highlight the differences between what our eyes do as we read, what we must do with our hands and fingers, and what are brains are doing when we read complex texts. Compare this blog post designed with the computer screen in mind with this PDF file that was originally designed mainly for paper (click the link for an example of such a text). As you read, what do you have to do when you read the bottom of page 23 with your eyes, your hands and fingers, and your thinking processes? What if you want to review something from earlier in the article? How do you locate it? Does that process interrupt the flow of your thoughts? Reading many online materials means that young readers will bring to bear their knowledge of the topic, but it also means they must adapt to online text structures. Online text often differs markedly from paper-based text. There may be fewer meaning cues to guide inferences because the author believes that the reader will click those links that are relevant to the reader. The reading may proceed in a non-linear way that is quite unlike reading a book or article in a paper-based magazine. It is up to the reader in exponentially different ways to construct meaning because the texts are interlinked. Readers literally go to additional sources rather than taking the author at face value, and the quality of inferences drawn may be much more complex. For readers, the potential of consulting a great variety of sources may result in richer thinking. The reader might, for example, consult the links provided by the author, or the reader may search for more information by initiating an original search. Self-regulation of reading is foregrounded in most online reading environments. In most reading situations, readers must ask themselves questions as they read and apply fix-up strategies when they realize that the words they read are not matching closely with the background knowledge they bring to the reading task (Hacker, 2004). Moreover, online readers may be apt to distractions caused by advertisements, instant messaging, a great many sources in a search result and so on. Teachers can assist students to avoid information overload by attending to the purpose for reading established early on and knowing when to switch from one reading approach to another. The f-shaped pattern described earlier on this blog can be an efficient approach to locating appropriate sources online; however, as online readers find internet sources that are most helpful to them (focusing on the purpose for reading! ), they should be taught to switch from scanning material to reading closely. Close reading: Close reading is characterized by the use of evidence from the text to support, analysis, conclusions, or views of texts. For example, responses to the definition of text complexity would begin with a reference to the place in the text where the term is defined (Wolsey, Grisham, & Hiebert, 2012, p. 2). Effective practice: Readers of online materials may apply the same scanning approach to most, if not all, of the web sources they encounter, but sometimes they must slow down and read more carefully. Teachers can help readers overcome obstacles when they encounter web sources that seem to require close reading. Web sources demand that readers determine when to scan search results and the webpages they find and slow down, applying more thorough approaches as they narrow their search to the information needed to meet reading purposes. Joe quickly pulled up the webpage, and pointed out that there was a neat picture of Zorro on the Capistrano mission’s website, and the opening line talked about Zorro at the mission. Mrs. Wilkinson knew right away that Joe needed help overcoming an obstacle—he had read too fast and not enough. She probed some more, “Very interesting site, Joe. Zorro is one of my favorite characters, too. What else do you think you might learn if you read some more on this page?” (Note to Literacy Beat readers: There was an exhibit at the Capistrano mission about Zorro, a fictional character, and that is the webpage Joe had mistaken as fact about Zorro visiting the historic mission). 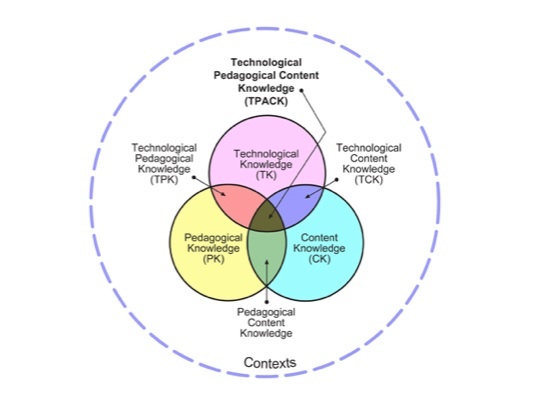 Our research, built on the theoretical work of Rand Spiro and his colleagues (e.g., 1992, 1996, 2004), leads us to believe that learners who must reconcile a variety of sources and support their own conclusions with evidence are more likely to think deeply and engage thoroughly with content at every level. Reading online, when properly scaffolded, can lead student readers to develop thinking by carefully evaluating the content they find online, choosing the sources most appropriate to their purposes for reading, and challenging themselves to approach complex material. Effective practice: Teachers can assist students to approach many sources, evaluate those sources, note differences between them, and reconcile those differences by noting them and deriving their own conclusions. Probing students’ choices of sources and the manner in which they approach the reading task provides the teacher with the opportunity simultaneously name the process (skimming, close reading, and so) and model alternative practices based on the prior knowledge the teacher brings to the interchange as well as the prior knowledge the student has about the topic and the processes necessary for successful online reading. Example: When Mrs. Wilkinson’s fourth-grade students began to explore the legacy of the California missions, they often encountered information that was new to them. For every new idea they included in their final multimedia projects, she asked students to do two things: 1. Determine the reliability of the source, and 2. Find at least two sources of information (three is better) that supported the new information. She found that as students read to verify what they included in their projects, they also drew connections between the sources, noticed new ideas and information to explore, and found disparities between the sources for which they had to account. As a result, they had a richer understanding of the role of the missions in California and that not all views of the mission were positive. Though textbooks and other sources have long included photographs, graphs, and artwork, online reading more thoroughly integrates media into the online reading experience. Graphics are easier for authors to create in the 21st century and include as are video and audio elements. Icons require readers of online content to understand the icon and the process clicking it may initiate. Often, icons provide support, such as pronouncing a word or reading a passage aloud, that a paper-based text cannot. Increasingly, multimodal sources invite the reader to interact with concepts about which they have been reading (learn more on this blog about multimodal learning). Effective practice: Students are often innately aware that multimodal elements found in online reading are worthy of their attention or may be a distraction depending on the purpose for reading the online text, the arrangement of elements on the page, and the relevance of those multimedia elements to the text (and the other way around). However, novice readers may be distracted by these or lack a process for reading text and viewing multimodal elements. Example: Often, as Mrs. Wilkinson’s fourth graders worked with online sources, they found video clips, photographs, and primary source documents from the era linked or embedded within the text. She taught them to decide what elements seemed to be more useful by watching short bits of video to determine whether to watch the entire piece. Students learned to quickly scroll through a webpage noting the types of information in addition to the words, and whether any of those were ads and other visual information that might not be relevant at all. What difficulties and successes have you and your students encountered when reading digital texts? What made the reading a friendly experience? How have you and your students challenged yourselves to read increasingly complex texts, perhaps a little beyond your comfort zones? Coiro, J., & Dobler, E. (2007). Exploring the online reading comprehension strategies used by sixth-grade skilled readers to search for and locate information on the Internet. Reading Research Quarterly, 42(2), 214-257. Spiro, R. J., Feltovich, P. J., & Coulson, R. L. (1996). Two epistemic world-views: Prefigurative schemas and learning in complex domains. Applied Cognitive Psychology, 10, 51-61. Spiro, R.J., Feltovich, P.J., Jacobson, M.J., & Coulson, R.L. (1992). Cognitive flexibility, constructivism and hypertext: Random access instruction for advanced knowledge acquisition in ill-structured domains. In T. Duffy & D. Jonassen (Eds. ), Constructivism and the technology of instruction (pp. 5-75). Hillsdale, NJ: Erlbaum.